Hello friends of Ottobock Mobility for Kids! This year for Halloween we’d love to give you and your loved ones an opportunity to have some fun. 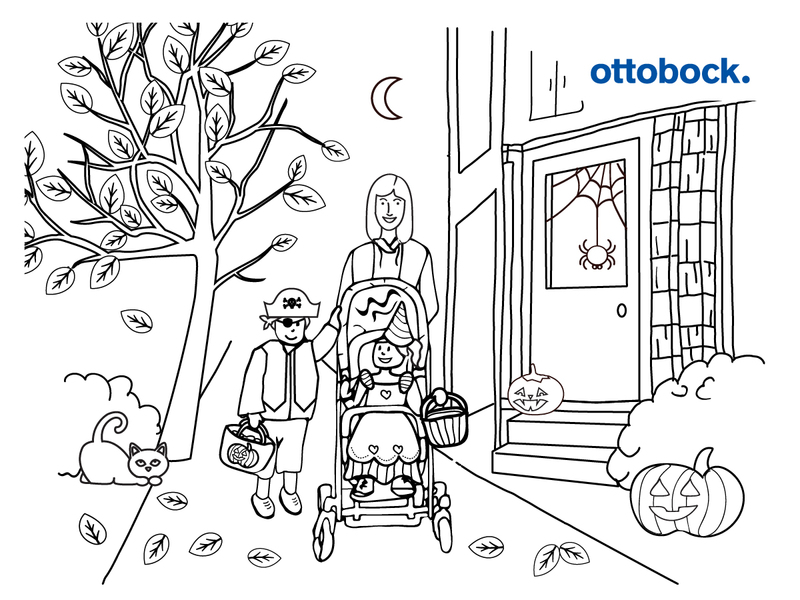 We have produced three coloring pages to reflect the families who use our products. Choose one, two or all three and color them! Take a picture and upload it on Facebook and post to our page or tag us. We’ll choose a winner to feature on our blog.